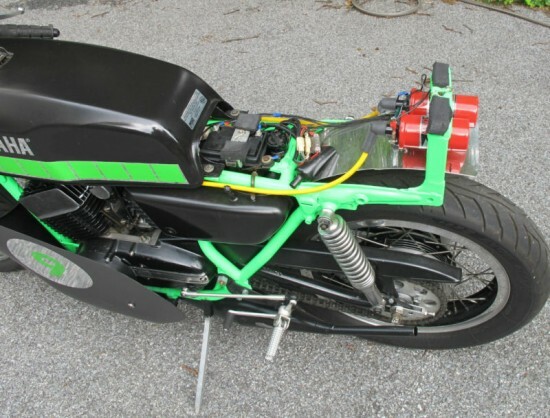 I have always been a sucker for a full fairing, ones that were not integrated in the design, but built after the bike to hide the rider from the wind. And when you put a number on it, well, I am Joey. 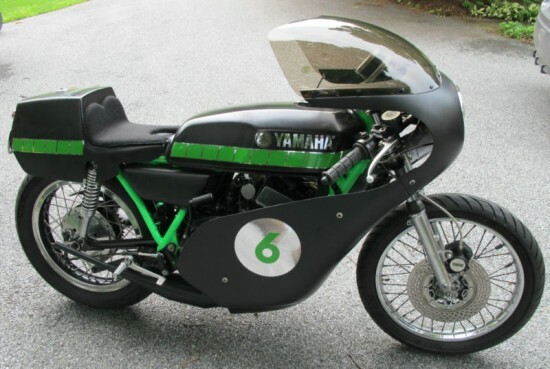 This 1975 Yamaha is just the thing. 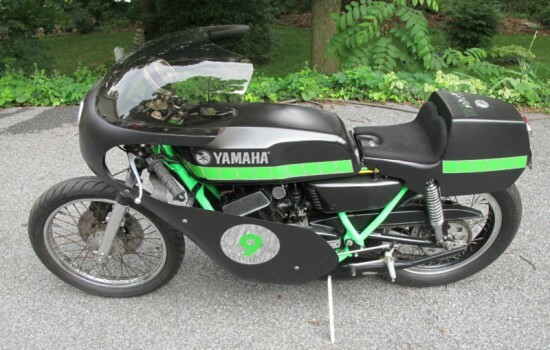 The Real Deal: 1975 Yamaha TZ750 Not for sale. 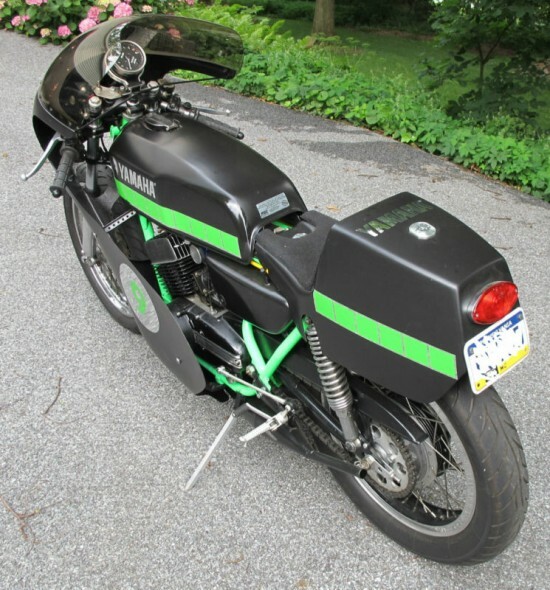 I like the bike but don’t get why the builder used a Kawasaki green color on a Yamaha instead of anything else which isn’t instantly identified with a brand it is not.